Once in a while I go on these literary journeys to places I've never been before. 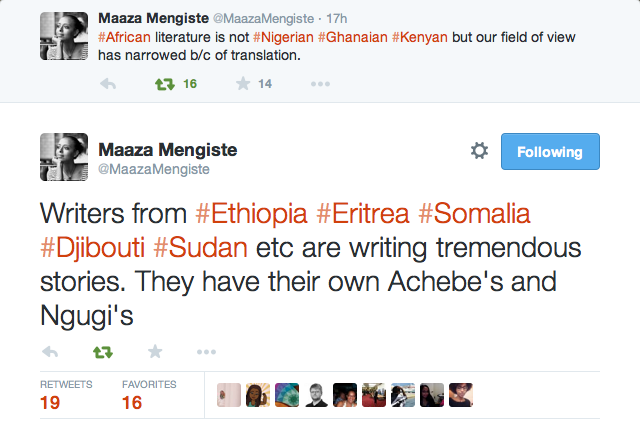 Well, I'm off on another one - this time inspired by Maaza Mengiste's tweets this week on the dominance of Nigeria, Ghanaian and Kenyan writers in African literature versus writers from Ethiopia, Eritrea, Djibouti, Somalia and Sudan. I've already been to Somalia, Sudan and South Sudan. So this time I'll be heading to Ethiopia, Eritrea and Djibouti, which along with Somalia form part of the Horn of Africa. As always, this is not an exhaustive list and I've also chosen to focus on books in English (including translated fiction). Enjoy!!!! Starting with Ethiopian literature, Ethiopian literature in Ahmaric may be one of the most prolific vernacular literature of sub-Saharan Africa, but this does not mean that there is not a body of Ethiopian writing in English - Sahle Sellassie, Daniache Worku, Abbie Gubegna, Fasil Yitbarek, Dinaw Mengestu, Nega Mezlekia, Bereket habte Selassie, Hama Tuma and Maaza Mengiste to name a few. There's also the Burt Award for African Literature, which celebrates young adult fiction with a number of Ethiopian authors being awarded prizes, including young Ethiopian writers. Other authors and works not shown include Fikeremarkos Desta (Land of the Yellow Bull) and Ashenafi Kebede (Confession). 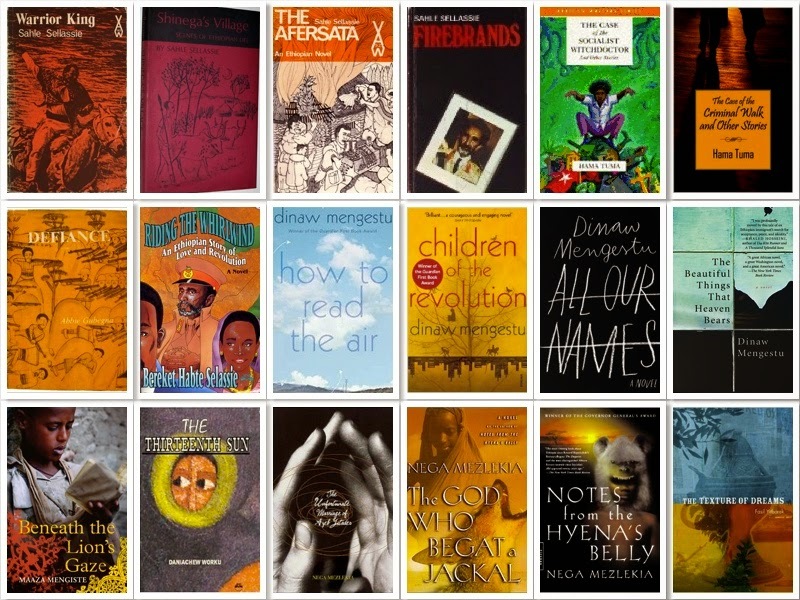 The Woyingi Blog has a list of Ethiopian literature and Maaza Mengiste also highlights a number of Ethiopian and Eritrean writers to check out. 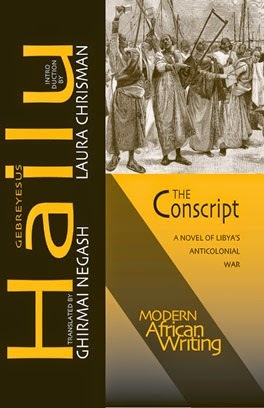 I've read The Conscript (said to be one of the first novels written in an African language, about Eritrean soldiers conscripted to fight in Libya by the Italians) and it's definitely worth reading. 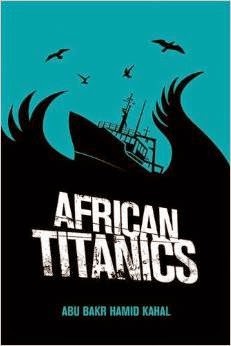 I've also got a review copy of African Titanics by Abu Bakr Hamid Kahal courtesy of Darf Publishers which I've been meaning to read. 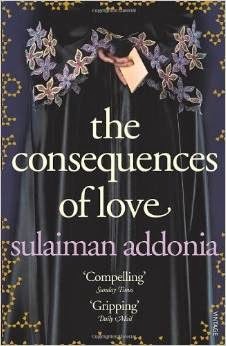 Another Eritrean novel I've been wanting to check out is The Consequences of Love by Sulaiman Addonia. 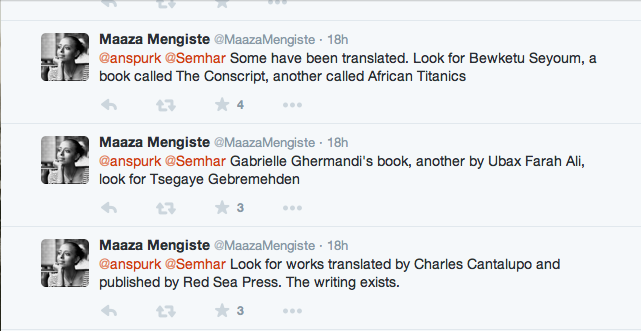 As for literature from Djibouti, I will be honest and say the only author I can think of is Abdourahman Waberi. Loved this! Need to check out some of these books. Yay! Glad you did. I have a lot of reading to do this festive season it seems.